The indisputably brilliant but undeniably Progressive screenwriter, Peter Morgan, of the tabloid television series, The Crown, has made himself rather clear about men such as Sir Winston Churchill and President Donald Trump. like Donald Trump . . .
we can do without in our politicians. Peter Morgan seems mysteriously selective about his “egomaniacs”. So far, in Series One, Mr. Morgan has made a narcissistically eloquent hero out of the Duke of Windsor. 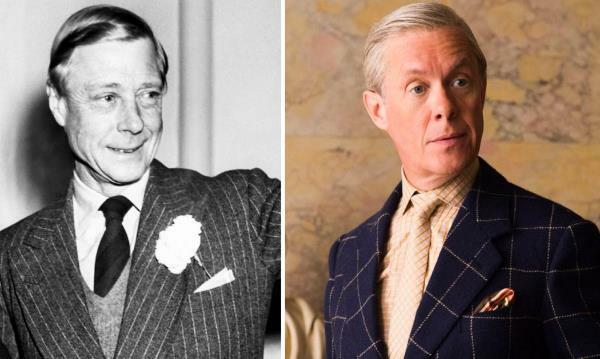 His Duke of Windsor, performed flawlessly by Alex Jennings… yes, the Infamously Egomaniacal Duke of Windsor… or, rather, the unsurpassably Eloquent and Egomaniacal Duke of Windsor in Peter Morgan’s “The Crown”… yea, the Poetically Eloquent and Poetically Egomaniacal Duke of Windsor… he who sounds unashamedly like his biographical creator, Peter Morgan, who declares in Vanity Fair, perhaps after a drink or two, that there is no room in politics for “charisma” and “narcissistic egomaniacs”. Exactly the response Mr. Morgan would relish. Of course, Mr. Morgan was being interviewed over lunch and, to be fair, can be allowed at least one obscenity and a flamingly obvious redundancy such as “narcissistic egomaniac”! However, his redundantly repetitive attacks on President Trump and former Prime Minster of England, Sir Winston Churchill?! And to place his most eloquent and poetic prose within the mouth of the Duke of Windsor?! Am I to assume that the Duke, a man of letters, missives addressed to his equally infamous wife, Wallis Simpson, won Peter Morgan’s entire creative soul by the power of those letters’ eloquence?! 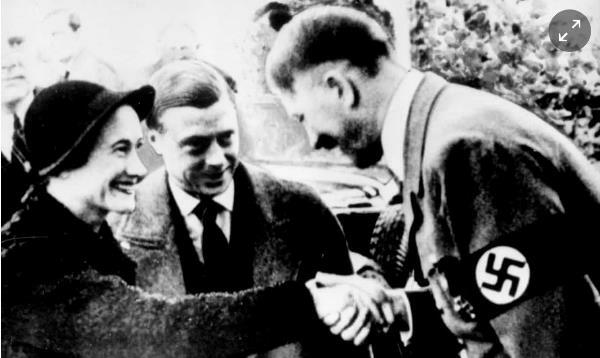 I read now, in the Vanity Fair interview, that, despite the impressively poetic soul of Peter Morgan’s Duke of Windsor, the Duke’s connections to Adolf Hitler’s Third Reich, the Duke’s possible “Nazi ties” will be, indeed, addressed and dealt with in Series No 2. Why am I, however, gravely suspicious?! Peter Morgan’s “wormwood jealousy” – alluding to another scriptwriter – his obviously Progressive and Iago-like passion to weaken, diminish and then, perhaps, destroy the heroic glow that some of us wrap around Winston Churchill, Donald Trump and, yes, even Othello. This report in The Guardian has perhaps fueled Peter Morgan’s obvious admiration for the Duke of Windsor. Therefore, it may be the Duchess of Windsor that might receive Peter Morgan’s strongest disapproval. Opprobrium at least the equal of that he heaps upon Sir Winston Churchill. Were they really Nazi sympathizers?! I obviously look forward to what’s ahead for Peter Morgan’s The Crown. How far will his Progressive philosophy carry his shameless contempt for the apparently shameless lives of both President Donald Trump and the late, great Prime Minister of England, Sir Winston Churchill? Mr. Morgan’s obvious fondness for the music of the profound, yea, legendarily Anti-Semitic Richard Wagner, his romantic use of it in the score for The Crown… but, then again, Mr. Morgan’s father, Arthur Morgenthau, was Jewish and fled the Nazis… so Mr. Morgan must believe that there is something profoundly unjust in the popular, yea, quite ubiquitous image of the Duke of Windsor as a Nazi sympathizer. Either that or some subconscious Oedipal complex is going on within the new and improved Peter Morgenthau. What’s the problem with Richard Wagner’s music in the very loud background? Leonard Bernstein insisted upon conducting Wagner in Israel!! I’m sure that even God and the author of Genesis would call the once-favorite angel, Lucifer, a “genius”. The Almighty did, however, cast Lucifer out of heaven; and the sibling rivalries of The Crown have Queen Elizabeth II of England, the chosen of God, casting Peter Townsend, her own sister Martha’s fiancé, out of England. Then again, the Bible is not the most fashionable reading among Progressives. It is, rather like Sir Winston Churchill and Donald Trump, the targets of Progressive contempt. Oh, well… let’s see what further, screenplay barbs Peter Morgan has to throw at The House of Windsor and what further arrows of hate for President Donald Trump he has left in the quiver of his promotional luncheons. A completely bipartisan audience attends his dramatic efforts for entirely different reasons. The Right in fascination about just how far his confessed contempt for the British monarchy, for its once-well-established aristocracy and its present Royal Family, just how far are his screenplay’s judgments going to get him. “‘I watch this family . . .
His vision of The Windsor’s, however, may prove to be his own, self-created, Progressively Imperial Ebola, bringing an inevitable headache to his targets but a careerist’s equally inevitable downfall upon himself. We shall certainly see… with Part Two of The Crown!